EFLIfans.com | Your #1 fan site for the EFLI! Evan Rosenfeld and Jenna Moshell have created a Kickstarter for their EFLI documentary, Birth of a Sport. They are trying to raise $70,000 USD by December 21 so they can complete the production of their film. There are different donation packages, such as a DVD copy of the film when it’s released, an EFLI t-shirt, and much more. Click here to check the Kickstarter project out and donate however much you can; it will go a long way in helping the EFLI become a success in India. On November 10, TEN Sports aired the EFLI championship game of the first season, called the Elite Bowl. 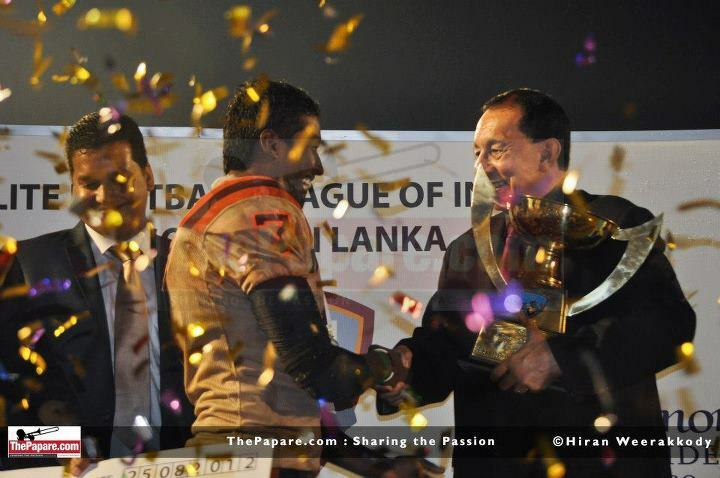 The Pune Marathas defeated the Delhi Defenders 6-0, becoming the first ever champions of the EFLI. 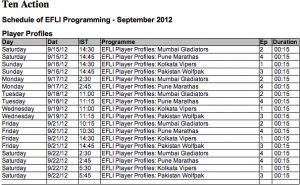 Congratulations to the Pune Marathas, as well as all the award winners for the first ever EFLI season! If you have any other news, suggestions, questions, or comments, please email us at eflifans@gmail.com. Congratulations to the EFLI on a great first season, and best of luck for Season 2 and beyond! 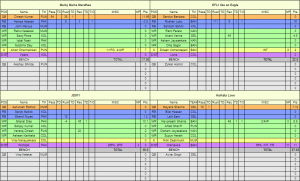 Box scores for the first two weeks have been posted, and with this we can get a better sense of which players are standing out. Today, I’ll continue my Fantasy Power Rankings with the top 5 running backs, wide receivers, team defenses, and kickers. #1: Roshan Lobo (BAN) – Unquestionably the best running back and probably the best player in the EFLI. He should be the first overall pick in any EFLI Fantasy Football league. In Lobo’s first game, he had 6 carries for 111 yds and 1 reception for 9 yds and and 1 TD. A really great story, as he wasn’t even supposed to play running back for the Bangalore Warhawks: the 1st and 2nd string RBs took government jobs instead of playing in the EFLI, and the 3rd string RB had a passport issue and couldn’t make it to Sri Lanka for the 1st season. Essentially, Lobo was the 4th string RB, and he turned out to be a superstar. #2: Ramachandran Rahul (PUN) – He had at least 50 rushing yards and 1 TD in each of his first two games. Pune seems to run the ball quite often, and even with QB Dinesh Kumar keeping the ball himself a lot, Rahul should be a consistent performer throughout the season. #3: Mohamed Sheriff (COL) – He had 14 carries for 92 rushing yards and 3 receptions for 23 yards in his first game. The Lions have a very run-heavy, defense oriented playing style, so look for Sheriff to take the bulk of the carries for his team. #4: Sandeep Kumar (DEL) – The Defenders have some great running backs, and it seems like Sandeep Kumar takes the majority of the carries. Although he has yet to find the endzone, he has at least 50 rushing yards in each of his first two games. 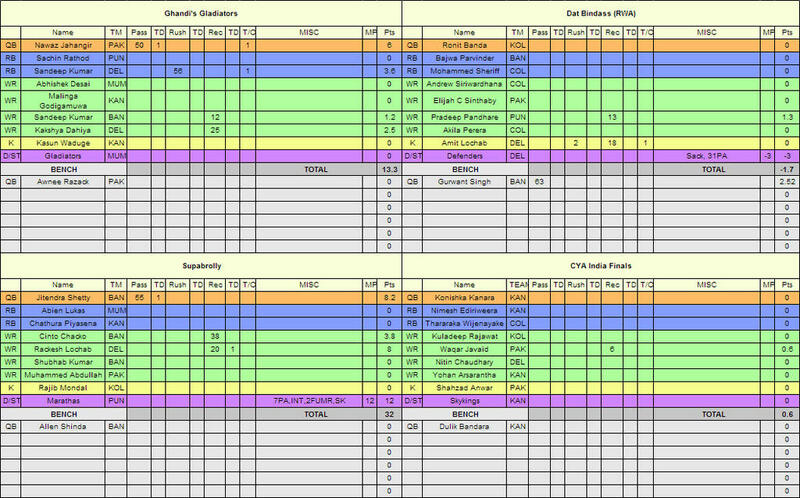 #5: Tarun Thimmaiah (BAN) – He’s backing up Roshan Lobo, but his numbers look very impressive so far. 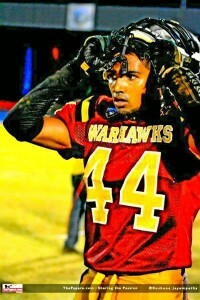 The Warhawks can hit their opponents with a lot of different offensive weapons, and Tarun Thimmaiah is one of them. #1: Navaneeth “Chamber” Shanta (BAN) – This guy will tear it up in the first EFLI season. When you have the best running back in Roshan Lobo on your team, it can really divert the attention of the defense and open up the passing game. #2: Anant “Fabio” Verma (DEL) – Fabio is the best receiver on the Delhi Defenders, and he’s got Mayank “Brady” Sharma throwing to him. He’s a staple on the juggernaut of an offense that is Delhi, so look for him to make some big plays. #3: Shenal Dias (PAK) – He is the favorite target for Wolfpak QB Jahangir Nawaz. Standing at 6’4″, he can just out jump most defenders to make the catch. He’s gotten a touchdown and at least 40 receiving yards in each of his first two games, so look for him to be a consistent performer throughout the season. #4: Nitin “Megatron” Deshmukh (MUM) – He’s the Calvin Johnson of the EFLI. 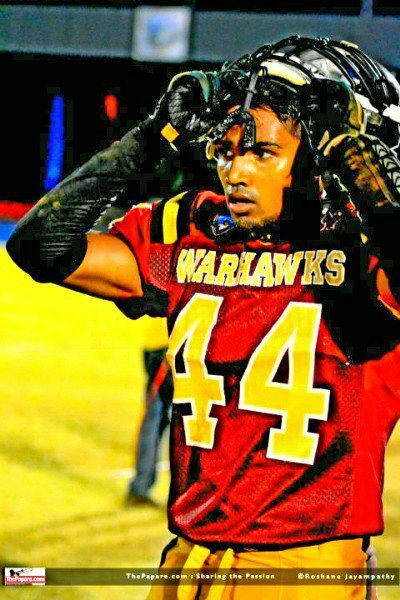 At 6’4″ and 245 lbs, he’s a physically imposing beast and can just overpower defenders. Look for Megatron to get some good receiving numbers in the first season. #5: Waqar Javaid (PAK) – Pakistan probably has the best wide receiver duo in Shenal Dias and Waqar Javaid. When the defense focuses on covering Dias, there’s more opportunities for Waqar to make a big play. 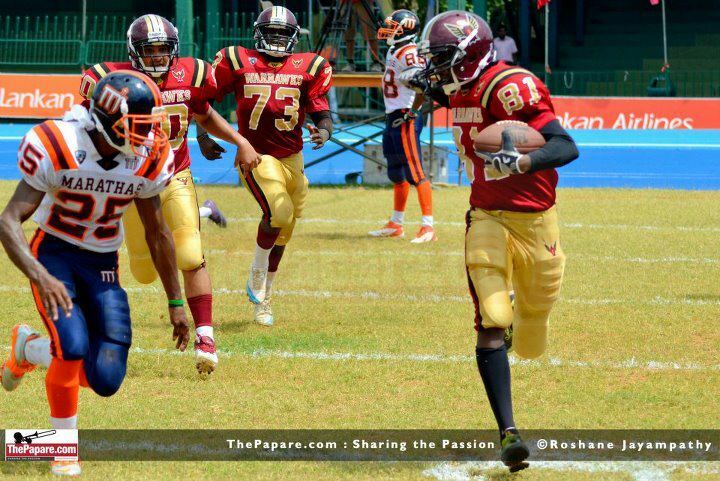 #1: Bangalore Warhawks (BAN) – When you have a guy nicknamed “Ray Lewis” on your team, you know you have a good defense. #2: Colombo Lions (COL) – The Lions seem to have a “control-the-clock” style of play, with a lot of running and a very good defense. They have one of the best linebackers in the league in Suhail Imtiaz. 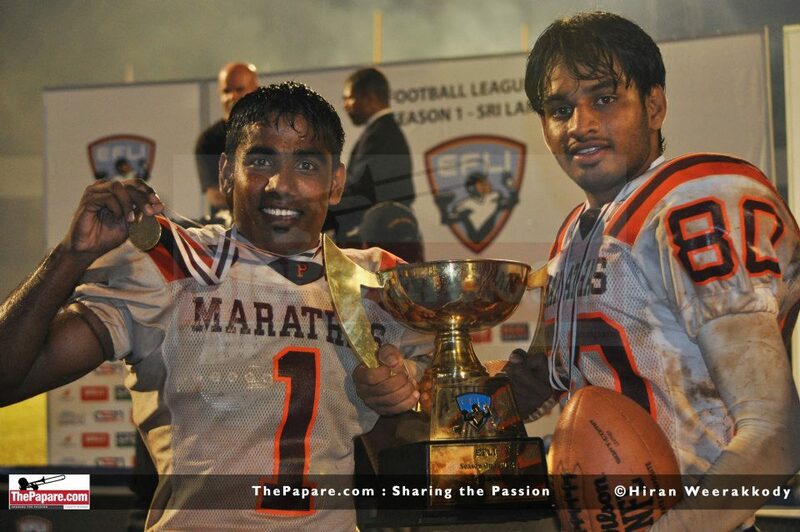 #3: Pune Marathas (PUN) – Great team, great defense, and they have one of the best defensive backs in Jitendra Mishra. #4: Delhi Defenders (DEL) – Just as their name says, Delhi has a great defense. They held a decent Kandy offense to just 6 points (In the meanwhile, their offense scored 43 points). #5: Mumbai Gladiators (MUM) – Mumbai has a pretty good defense, as evidenced in the first ever EFLI scrimmage. Although they allowed their opponent to score 2 TDs in that game, you can really see glimpses of how overpowering their defense can be. #1: Dinesh Kumar (PUN) – The Michael Vick of the EFLI: dual-threat, and he even wears number #7. Expect good passing and rushing yardage, as well as multiple rushing TDs from him. #2: Mayank “Brady” Sharma (DEL) – His nickname is “Brady” for a reason: he models his game after Tom Brady’s. With weapons like Anant “Fabio” Verma and Amit “Happy” Lochab in his arsenal, expect some monster passing numbers from him. #3: Jitendra Shetty (BAN) – He’s the starting QB of the high-powered Bangalore Warhawks offense. He’s throwing to one of the best wide receivers in the league in Navaneeth “Chamber” Shanta, as well as some other pretty good wide receivers in Cinto Chako and Sandeep Kumar. Oh yeah, don’t forget he can also throw to a guy named Roshan Lobo. #4: Kanishka Konara (KAN) – He’s the starting QB for the fan favorite Kandy Skykings. Hopefully he can live up to his team name and indeed be the king of the sky. #5: Jahangir Nawaz (PAK) – He’s got some pretty good wide receivers to throw to, including 6’4″ Shenal Dias and Waqar Javaid. #9: Gurwant Singh (BAN) – He’s backing up Jitendra Shetty, but his first game shows he’s got talent. Pretty nice when your team has a backup QB that outperforms other starting QBs in the league. #10: Avtar “Manni” Singh (DEL) – Perhaps his nickname is “Manni” because he puts the ball right on the “money”. He’s backing up “Brady”, but that doesn’t mean that he doesn’t play. Expect him to see some decent playing time and put up some good numbers with it. 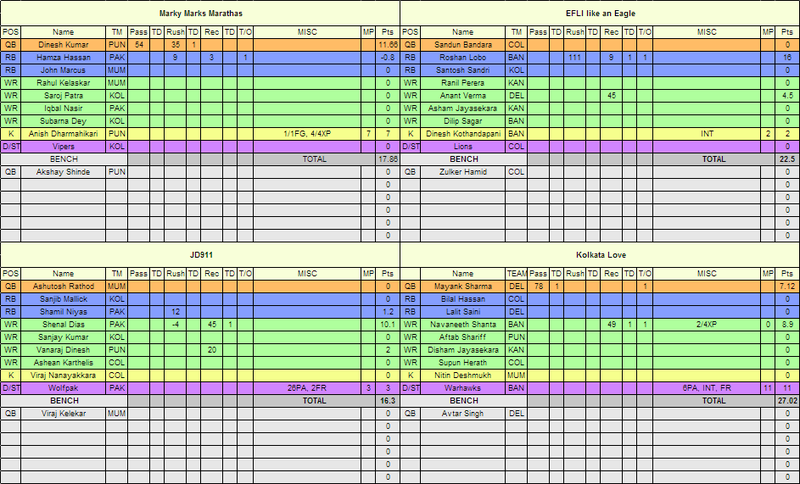 Click on the above pictures for a better look at the EFLI fantasy football league that EFLI fan @JBPULSE started. Very impressive! The official website of the Elite Football League of India has undergone a complete revamp: it now contains videos of all the EFLI commercials that been been airing on Ten Sports, new video profiles for two more teams (Mumbai Gladiators and Pune Marathas), complete rosters of all the teams, as well as sections for standings and stats, which presumably will be updated as the games are aired on Ten Sports. Check out the awesome new look of the official website. You will also find some links below of some of the new content. 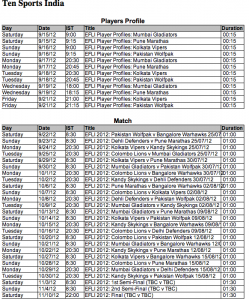 The games are tape delays of the Sri Lanka season which ran from July 25 to August 25. They have been edited down to one hour each, cutting out most of the down time, similar to the Pune vs. Mumbai scrimmage from March 29. Pakistan Wolfpak – EFLI Team Profile from evan rosenfeld on Vimeo. The finals of the first EFLI season in Sri Lanka are here! 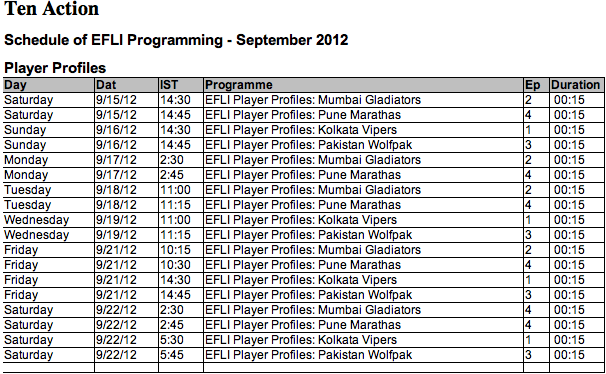 Also, Ten Sports has acquired global broadcast rights for the EFLI until 2016, showing about 370 games over the next five years. Each year consists of two seasons commencing in July and November respectively. Ten Sports will start showing the games on television starting in September (I mentioned in a previous post that it is probably a tape delay of the season that is wrapping up right now). Also, check out this article from The Island newspaper. Great insight on the first season of the EFLI, especially from some of the star players of the league. 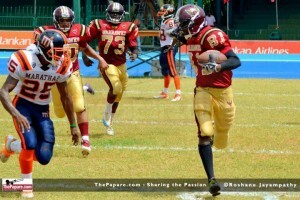 Congratulations to Roshan Lobo, running back of the Bangalore Warhawks, for winning the 2012 EFLI MVP. Can’t wait to finally see these games in September! 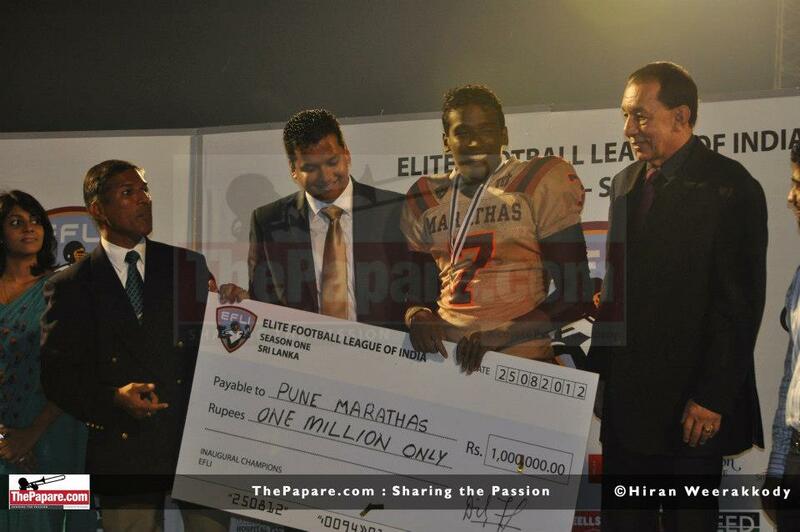 UPDATE: Congratulations to the Pune Marathas for winning the first Elite Bowl of the first EFLI season! The score was 6-0; click here for photos of the game on ThePapare.com’s facebook page. Games will be televised beginning September 15th on Ten Sports, the top rated sports channel in India and the entire sub-continent region. The EFLI is proud to have signed an agreement with Ten Sports to televise 33 games in its first season including Saturday and Sunday games as well as 13 Monday Night Football games. Ten Sports channels are the most watched sports channel by far across the sub-continent. Therefore September 15 is the day that we will finally be able to see the games on television (and hopefully internet stream). I am assuming that the games will be a tape delay of the season that is just about to finish, and that November is the month in which a “real regular season” will start. Stay tuned for confirmation of this. Also, check out this great interview with EFLI co-founder Sunday Zeller. The semi-finals of the season are here. 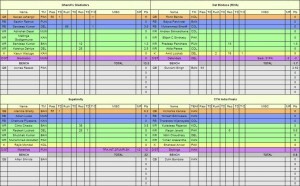 The top four teams were seeded without any regard to divisions, so our standings page has been updated to reflect that. 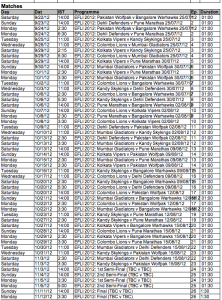 Should be a couple of good matches, with top-seeded Bangalore going up against Delhi for the first time (they did not play on August 5), and Colombo and Pune playing an immediate rematch of their game on Wednesday. UPDATE 8/20/12 11:50am EDT: Results are in and are reflected above. Click on the links above for photos from each match from ThePapare.com‘s Facebook page. 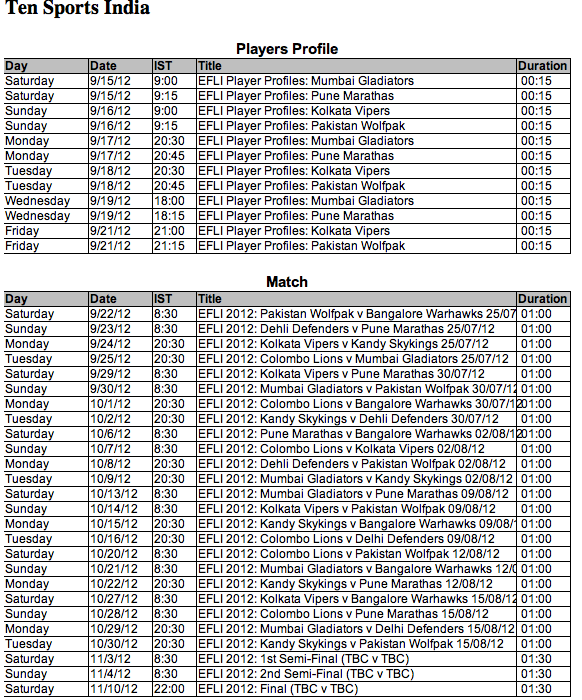 The “final week” of the “regular season” is here – the key matchup being powerhouses Colombo and Pune going up against each other (possible finals preview?). The semi-finals will be on August 19 and the finals will be on August 25. I am assuming the few games that were not played will not be made up. All games played were shutouts. 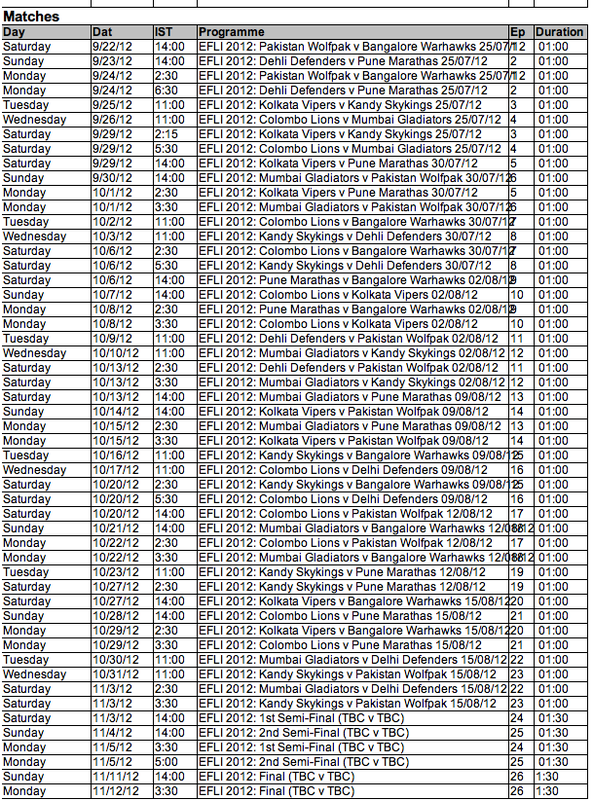 I do not believe Colombo vs Pakistan was played as ThePapare does not have any photos from the match and I can’t find any results.